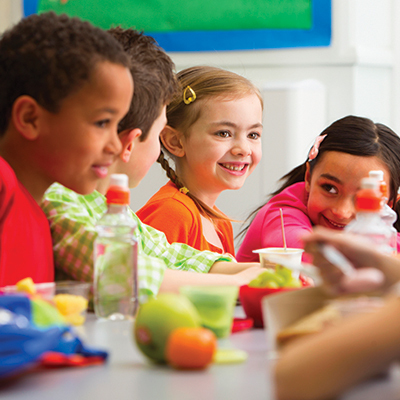 A program that inspires child care providers to serve up healthful meals and snacks as well as positive role modeling and education for children is getting rave reviews. In 2013, the RECIPE for Growing Healthy Children program, an effort between Purdue Extension and the Indiana Department of Education, received the Purdue Cooperative Extension Specialists Association's top award, the Hancook Award for excellence in programs for families. 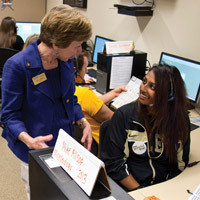 It's named for the late Ann Hancook, a former Purdue Extension program leader. The winning program trains child care food preparers on planning and preparing meals and snacks that comply with the Dietary Guidelines for Americans. 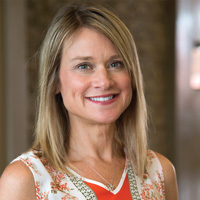 "In just a few short years this program has shown improvement in the mealtime environment of children participating in child care programs," Angela Abbott, program leader and assistant director of Health and Human Sciences Extension, wrote in a letter supporting the nomination of the team for the award. "This program is an important part of Purdue Extension's focus to deliver comprehensive, community-based health and nutrition programs." Iris Hughes, a child care provider in Shelbyville, Indiana, is glad she attended RECIPE. Licensed for 18 years, Hughes runs a preschool and child care program in her home from 5 a.m. to 5:30 p.m. every weekday. 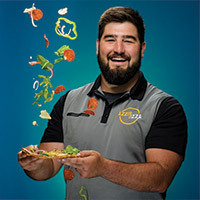 "I've taken a lot of nutrition classes over the years, and I really thought this was one of the most beneficial programs I've ever attended," Hughes says. "It was nice because we were able to see the food prepared and hear the different methods of how to prepare it. We also were able to sample the meals and participate in the preparation. I used a three-ring binder for the recipes and still use them regularly." RECIPE stands for the program's six workshop sections: Role models for children; an Environment that encourages healthy behaviors; Creating nutritious meals and snacks; Involving children in food and fun; Partnering with parents; and Enjoying eating together. Sponsors are the Indiana Extension Educators Association, Purdue University Cooperative Extension Specialists Association and the Alpha Lambda chapter of Epsilon Sigma Phi, the Extension honor society. Hughes laughs a little, noting one nutritional strategy she learned from RECIPE — a peanut butter and honey dip with fresh vegetables and fruits. "I have children eating things like radishes!" she says. "If it's dipped in peanut butter and honey, they'll eat almost anything!"